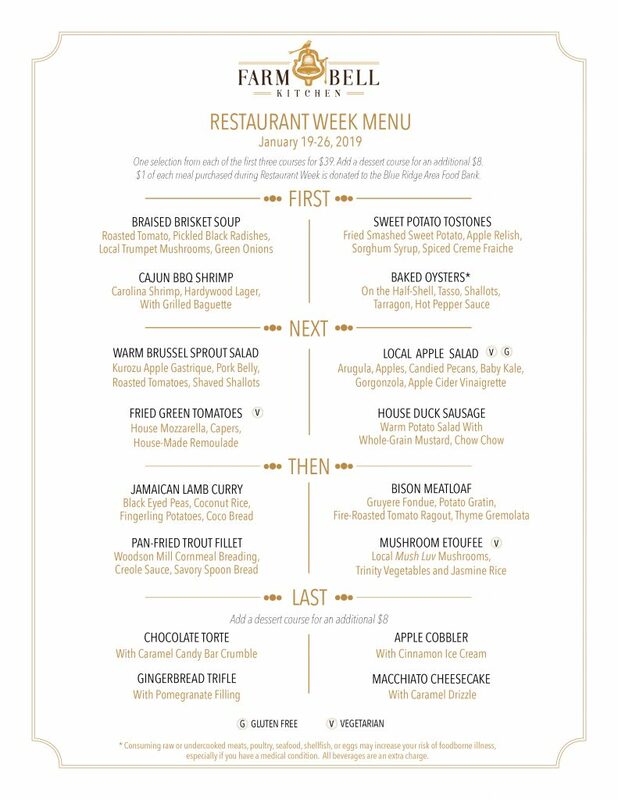 Join us at Farm Bell Kitchen for Restaurant Week. January 19th thru 26th, 2019. One selection from each of the first three courses for $39. Add a dessert course for an additional $8. $1 of each meal purchased during Restaurant Week is donated to the Blue Ridge Area Food Bank.